The Digital Research Library of Illinois History Journal™: Seymour Paisin Ladies Apparel on Devon and Talman Avenues in Chicago, Illinois. 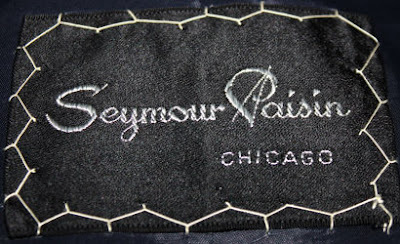 Seymour Paisin Ladies Apparel on Devon and Talman Avenues in Chicago, Illinois. 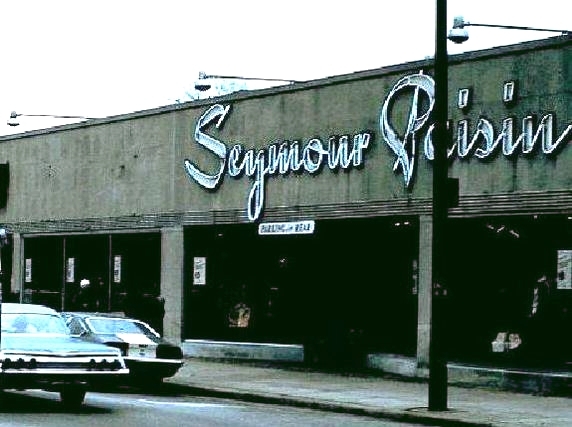 The Seymour Paisin Ladies Apparel (also known as Seymour Paisin on Devon, Inc.) was located at 2629 West Devon and Talman Avenues in Chicago. 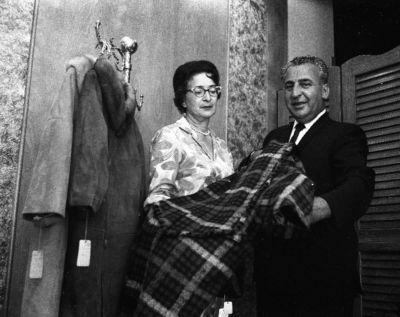 Seymour Paisin (1912-1987) and his wife and co-founder Ruth (1914-1977), opened Seymour Paisin Ladies Apparel in 1950 and the shop closed in 1980. 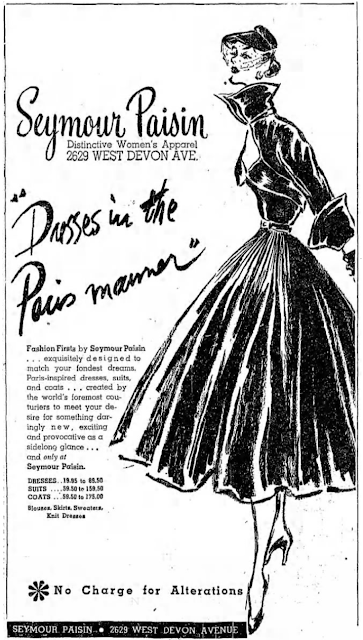 The Paisin's began quarter-page advertising in the Chicago Tribune in September of 1951. 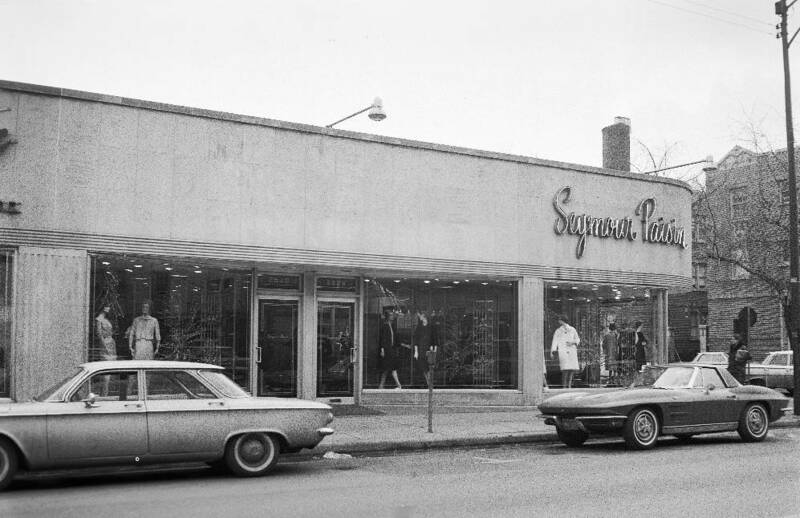 Not much information is available about the store or Seymour. 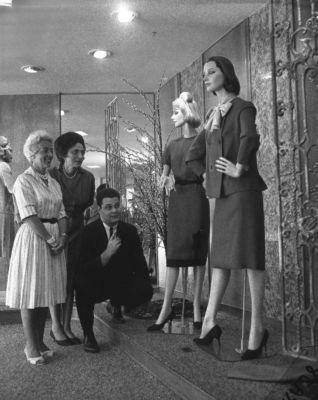 It was "THEE" place to shop for high fashion, second only to Chicago's Downtown. My mom shopped there, a lot! We lived 2-1/2 blocks away and she would take me out for a walk when I was very young. 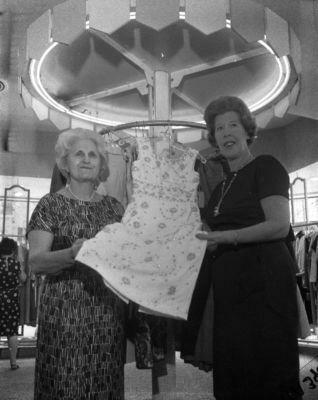 I can remember sitting in one of their big chairs and looking out the windows watching traffic go by and people walking on Devon Avenue, while my mom tried on dress after dress. Funny, we grew up in Rogers Park, and I don't remember my mother ever going there. Downtown, yes, and Old Orchard, but never anywhere local.